Metals are critical for our technological age, but there are a lot of other not-so-shiny materials that are needed to facilitate our way of life. For everything made out of concrete or asphalt, we need sand and gravel. To make the cement that holds concrete together, we also need limestone. For the glass in our computer screens and for glass-sided buildings, we need silica sand plus sodium oxide (Na2O), sodium carbonate (Na2CO3), and calcium oxide (CaO). Potassium is an essential nutrient for farming in many areas, and for a wide range of applications (e.g., ceramics and many industrial processes), we also need various types of clay. 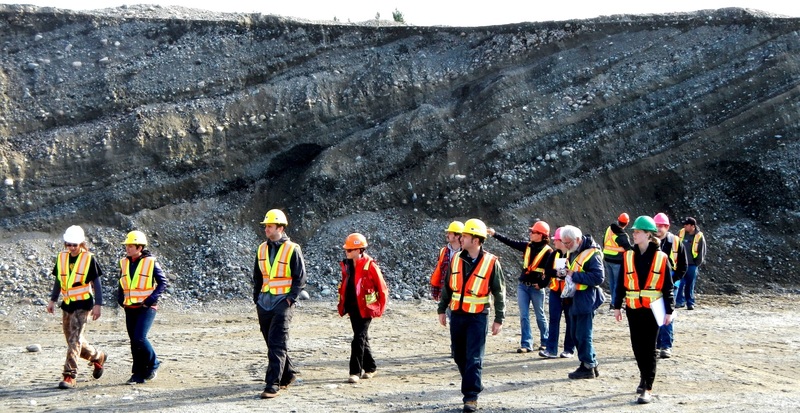 The best types of aggregate (sand and gravel) resources are those that have been sorted by streams, and in Canada the most abundant and accessible fluvial deposits are associated with glaciation. That doesn’t include till of course, because it has too much silt and clay, but it does include glaciofluvial outwash, which is present in thick deposits in many parts of the country, similar to the one shown in Figure 20.15. In a typical gravel pit, these materials are graded on-site according to size and then used in a wide range of applications from constructing huge concrete dams to filling children’s sandboxes. Sand is also used to make glass, but for most types of glass, it has to be at least 95% quartz (which the sandy layers shown in Figure 20.15 are definitely not), and for high-purity glass and the silicon wafers used for electronics, the source sand has to be over 98% quartz. Approximately 80 million tonnes of concrete are used in Canada each year — a little over 2 tonnes per person. The cement used for concrete is made from approximately 80% calcite (CaCO3) and 20% clay. This mixture is heated to 1450°C to produce the required calcium silicate compounds (e.g., Ca2SiO4). The calcite typically comes from limestone quarries like the one on Texada Island, B.C. (Figure 20.16). Limestone is also used as the source material for many other products that require calcium compounds, including steel and glass, pulp and paper, and plaster products for construction. Sodium is required for a wide range of industrial processes, and the most convenient source is sodium chloride (rock salt), which is mined from evaporite beds in various parts of Canada. The largest salt mine in the world is at Goderich, Ontario, where salt is recovered from the 100 m thick Silurian Salina Formation. The same formation is mined in the Windsor area. Rock salt is also used as a source of sodium and chlorine in the chemical industry to melt ice on roads, as part of the process of softening water, and as a seasoning. Under certain conditions, the mineral sylvite (KCl) accumulates in evaporite beds, and this rock is called potash. This happened across the Canadian prairies during the Devonian, creating the Prairie evaporite formation (Figure 6.16). Potassium is used as a crop fertilizer, and Canada is the world’s leading supplier, with most of that production coming from Saskatchewan. Another evaporite mineral, gypsum (CaSO4.2H20), is the main component of plasterboard (drywall) that is widely used in the construction industry. One of the main mining areas for gypsum in Canada is in the Milford Station area of Nova Scotia, site of the world’s largest gypsum mine. Rocks are quarried or mined for many different uses, such as building facades (Figure 20.17), countertops, stone floors, and headstones. 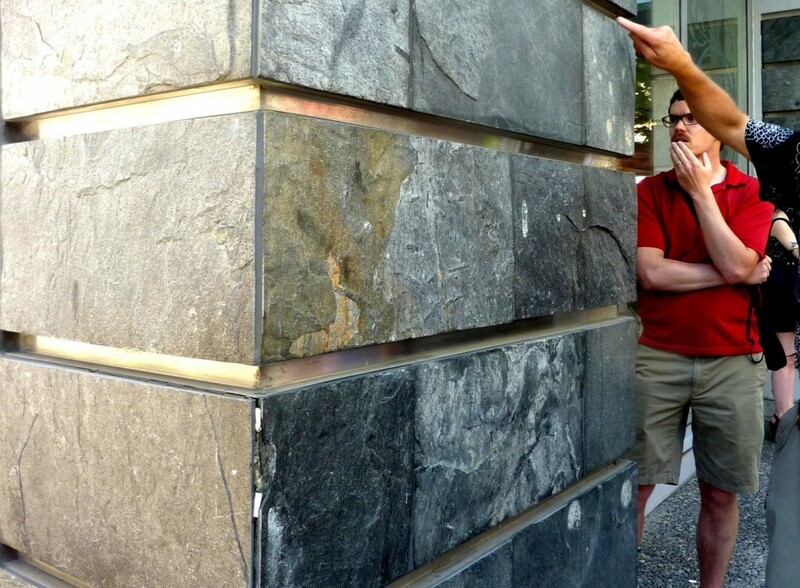 In most of these cases, the favoured rock types are granitic rocks, slate, and marble. 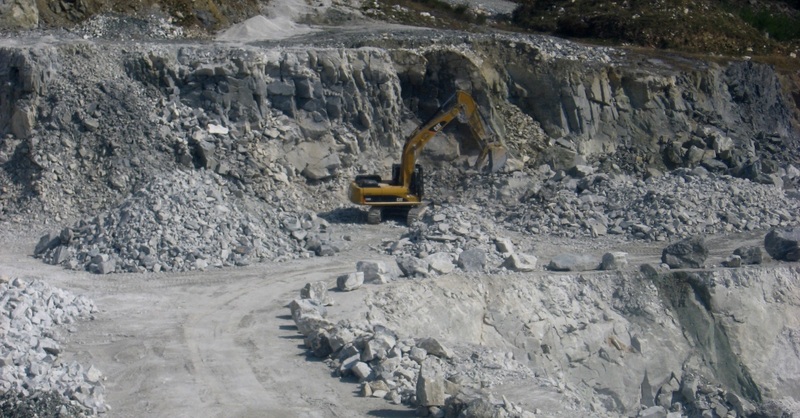 Quarried rock is also used in some applications where rounded gravel isn’t suitable, such as the ballast (road bed) for railways, where crushed angular rock is needed. When we think of the manufacture of consumer products, plastics and the heavy metals (copper, iron, lead, zinc) easily come to mind, but we often forget about some of the lighter metals and non-metals that are important. Consider the following elements and determine their sources. Answers for all of these except magnesium are given above. See if you can figure out a likely mineral source of magnesium. 20.2 Industrial Minerals by Steven Earle is licensed under a Creative Commons Attribution 4.0 International License, except where otherwise noted.